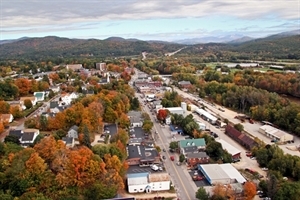 An exciting place to live and visit, the regional area of Plymouth is centrally located in the middle of the state and serves as the hub to both the Newfound & Squam Lakes Region, Pemigewasset & Baker River Valley and the Waterville Valley White Mountains area of New Hampshire. The Plymouth region is comprised of a variety of unique towns: Alexandria, Ashland, Bridgewater, Bristol, Campton, Hebron, Holderness, Plymouth, Rumney, Thornton, Waterville Valley and Wentworth. The diversity of these towns helps to create the local economy built of primarily small businesses; some of which have prospered for generations. Includes Cities/Towns: Ashland, Campton, Holderness, Plymouth. Summer concerts series are popular in Plymouth, Bristol, and Hebron. Our beautiful lakes provide boating, fishing, and swimming recreation. Activities also include a variety of winter sports including snowmobiling trails, skiing, ice fishing derbies, cross country skiing, skating, and hunting. Plymouth, New Hampshire is a region of diversity and talent. Certainly Plymouth State University offers many cultural advantages. But a further truth is that the Plymouth region has a community of creative artists who are nurtured by and give nourishment to the surrounding towns. Fine arts and craftspeople, writers, painters, sculptors, scholars, musicians, inventors, graphic artists, photographers, and textile designers are among the quiet contributors to our cultural wealth. Silver Center for the Arts and The Flying Monkey Movie House and Performance Center, are two of the locations in the region to enjoy live performances of all kinds. The Manchester Airport is 1 hour and 15 minutes to our south. Speare Hospital is located in Plymouth. There are a number of good hospitals within an hour of our area, World renown Boston Hospitals are 2 hours to the south, the Dartmouth Hitchcock Hospitals are located all around the state. Jan 6.0 F° 17.0 F° 28.0 F° 3.2 "
Feb 8.0 F° 20.5 F° 33.0 F° 3.1 "
Mar 18.0 F° 29.5 F° 41.0 F° 3.3 "
Apr 29.0 F° 42.0 F° 55.0 F° 3.4 "
May 39.0 F° 53.0 F° 67.0 F° 3.8 "
Jun 49.0 F° 62.0 F° 75.0 F° 4.2 "
Jul 54.0 F° 67.0 F° 80.0 F° 4.1 "
Aug 52.0 F° 65.5 F° 79.0 F° 4.1 "
Sep 44.0 F° 57.0 F° 70.0 F° 3.4 "
Oct 33.0 F° 45.5 F° 58.0 F° 4.3 "
Nov 25.0 F° 35.0 F° 45.0 F° 4.0 "
Dec 14.0 F° 23.5 F° 33.0 F° 3.6 "
Summer in the Plymouth and surround area is cool enough to keep even the most active visitor comfortable with the White Mountains right around the corner providing excellent hiking opportunities. Autumn visitors will feel a fresh mountain nip in the air that delightfully offsets the warm colors of the foliage. This is the best time to year to hike the many wonderful trails, or visit the local mountains. Winter is a wonderland of clean white snow capping the landscape that is not only refreshing to look at, but equally invigorating to play in. Ragged Mt. Skiing is located just 20 minutes to our south, Waterville Valley, and Loon Mt. are just 20 minutes to our north. During the spring, a visitor can experience Maple Sugaring, rushing rivers and blossoming foliage. Whether you like to dig right in or kick back and relax, the Plymouth region is sure to have something to make your visit a memorable one. There are many ways to volunteer in our communities, including volunteering at Speare Hospital and older females are needed to mentor young girls as part of the Circle Program.